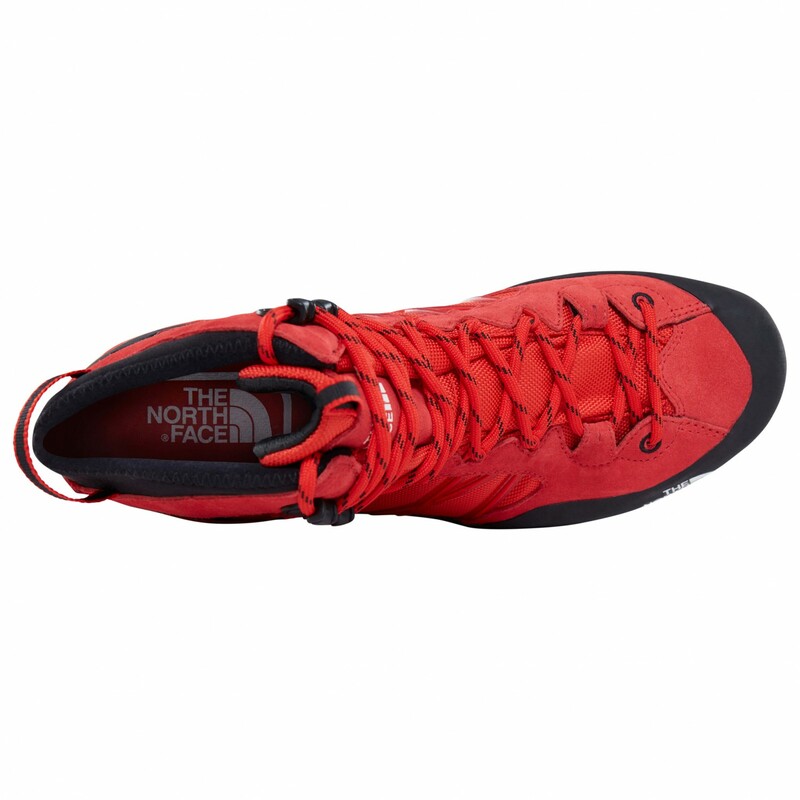 The waterproof Verto S3K II GTX from The North Face are lightweight mountaineering boots with technical features. 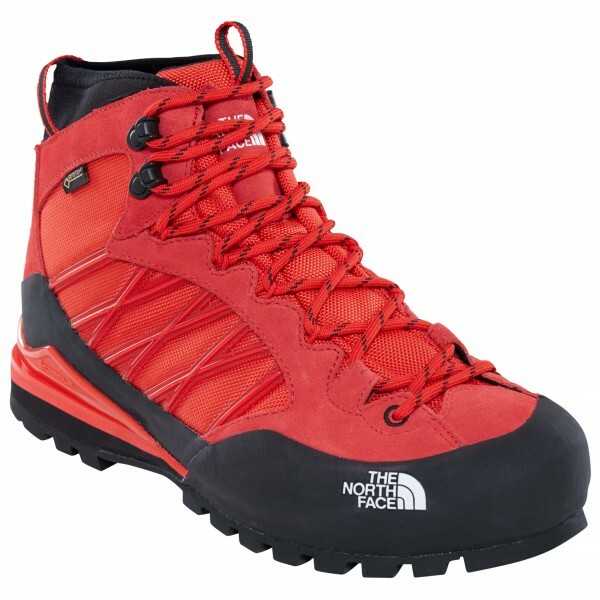 They're perfect for via ferratas or technical mountain tours in the summer. 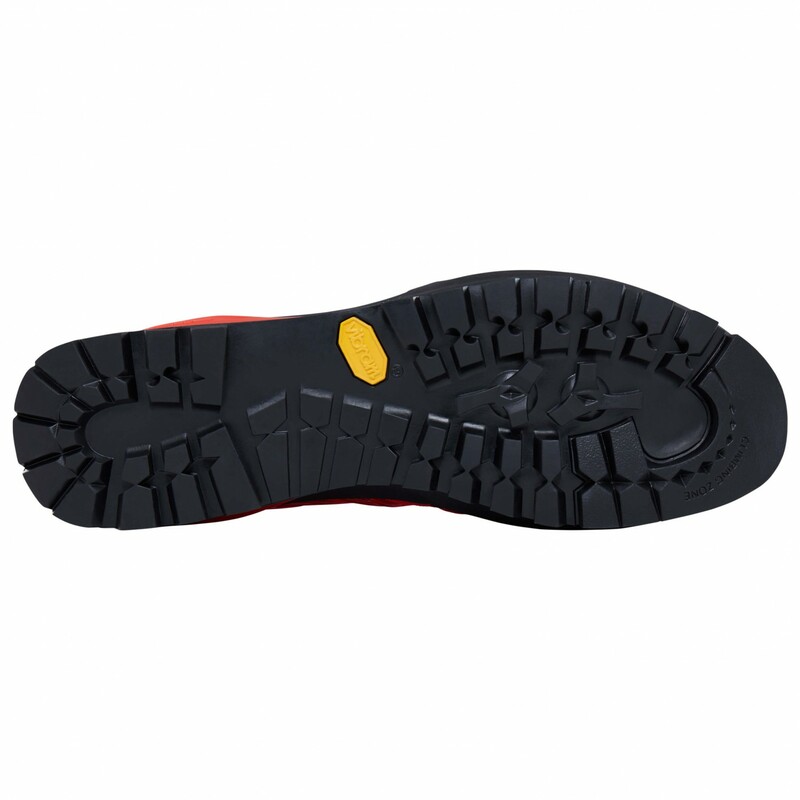 The Vibram Mulaz sole is made of a variety of components for stiffness and cushioning, comfort and bite as well as grip and durability. 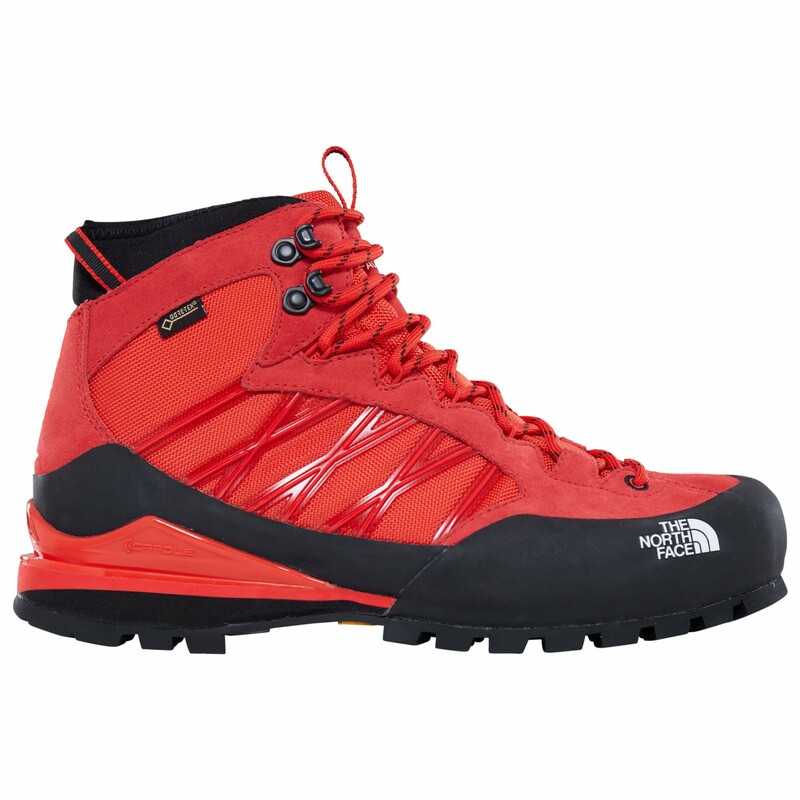 Plus, the sole features semi-automatic crampon compatibility. The upper is made of abrasion-resistant nylon and suede leather with a TPU cradle for added stability around the ankle joint. For lasting comfort on the interior, the boot is equipped with a Gore-Tex membrane, which fends of water from the outside and moves moisture away from the interior. That way, your feet will always stay dry and warm. Be it a via ferrata or mountaineering adventures in the summer, the Verto S3K II GTX mountaineering boots will get the job done.